As MPs seek to take the initiative from the government, there are signs that some Tory opponents of Mrs May's deal could be steeling themselves to back it if it returns to the Commons for a third time later this week. But BBC political editor Laura Kuenssberg said the not very subtle subtext of Mr Johnson's remarks was "if the PM promises to go soon, then she might get my vote." Media captionBurt: "We will not go down the route of no-deal." One source told me 19 ministers are ready to quit if they aren't allowed to have their say, which could, hypothetically at least, collapse the government itself. 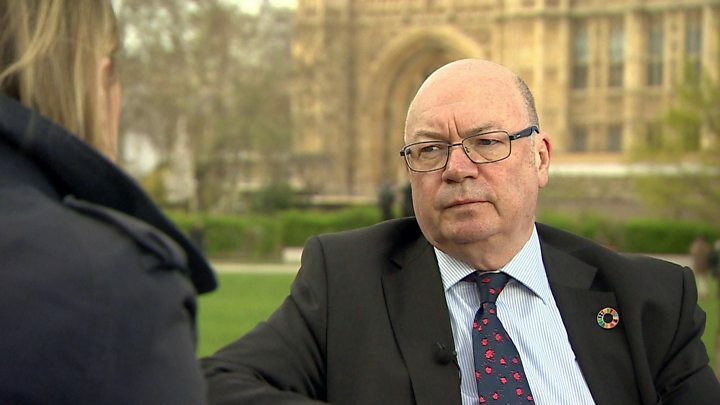 Mr Burt, one of three ministers who quit on Monday to back the so-called "indicative votes" plan, said he still backed the prime minister's deal but she had a duty to look at other options. "My advice to the prime minister would be to recognise that her duty now is perhaps to find a different answer than the one she has tried to find," he told Laura Kuenssberg. But David Davis said the PM's deal was better than the alternatives and had a "decent chance" of getting through Parliament if put to the vote again. The Democratic Unionists, whose 10 MPs prop up Mrs May's government, urged Tory MPs to "stand firm" in their opposition unless there were "significant changes". Tuesday: Theresa May met her cabinet. Tuesday had been considered as a possible day for the so-called third meaningful vote on Mrs May's withdrawal deal. 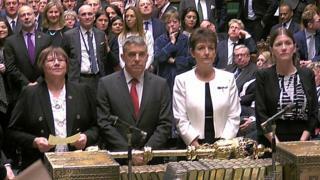 But, on Monday, the PM said the deal did not have enough support to get through the Commons "as things stand". Wednesday: This is when indicative votes will be held - we don't know yet whether MPs will be free to vote how they want or be directed along party lines. The prime minister is also due to address the 1922 Committee of Conservative backbenchers. MPs will also vote on changing the Brexit date in UK law from 29 March.